1989 Dodge Colt E - Nothing special yet! 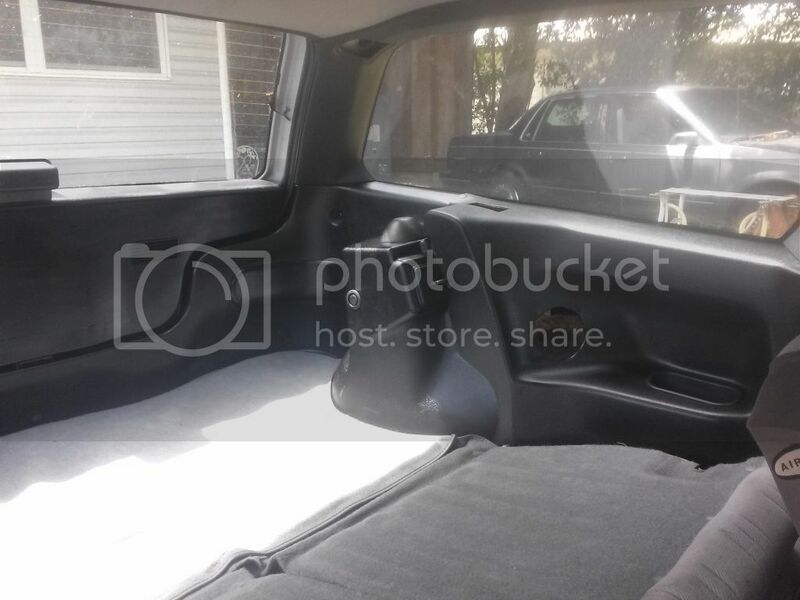 Post subject: 1989 Dodge Colt E - Nothing special yet! Hey guys. I don't usually post anything but I've been cleaning up the Colt lately and just wanted to post up some pics and get some feedback from some fellow csm guys/gals. 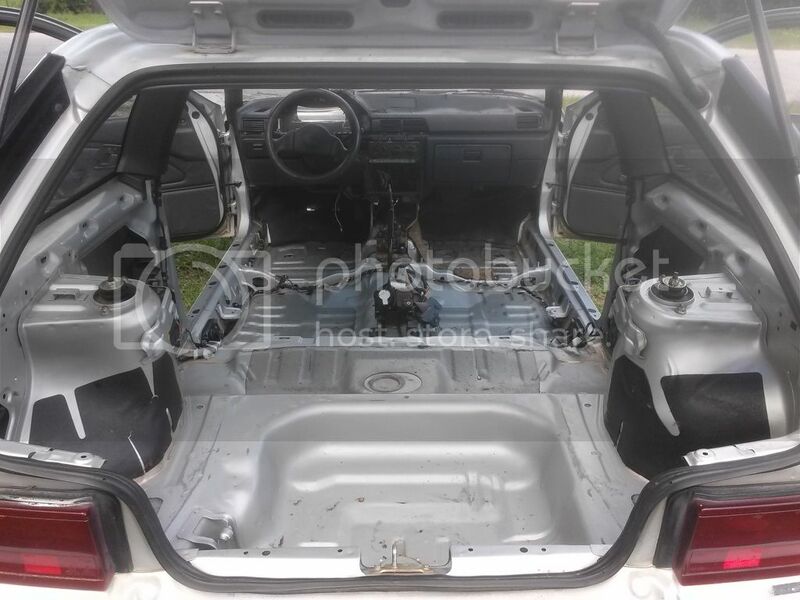 Post subject: Re: 1989 Dodge Colt E - Nothing special yet! Thanks Captain! Just trying to bring it up a little at a time. Nice, mines silver too. What are the future plans for it? 89 Mirage Billet 20g 63t 12.4@120 417whp 400wtq @ English Racing. 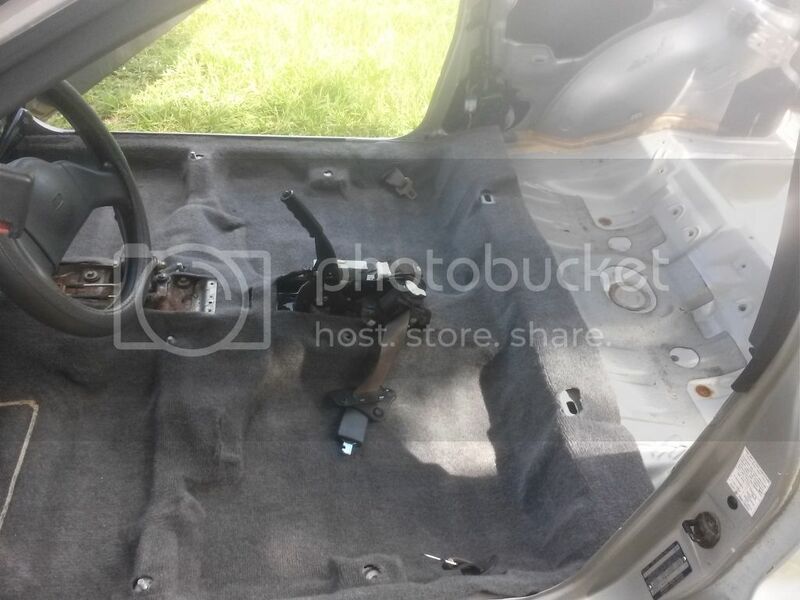 5 1/4 components in the door, same in the back. Hyundai front seats, 15" wheels and tires, Eventually the infamous 4G63T swap , then finally a paint job, its been painted white a while back and I'm gonna bring it back to factory silver. 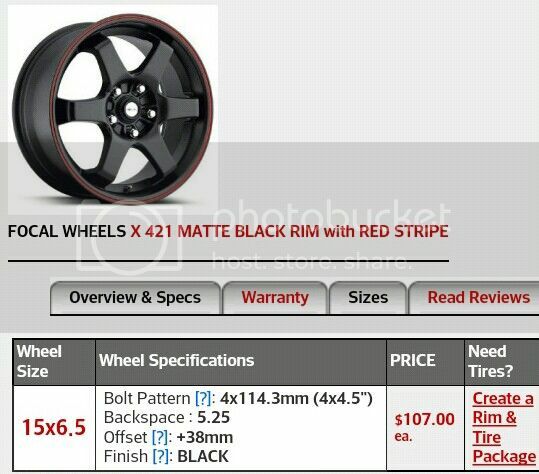 These are the wheels I was thinking of. Just need to make sure you get wheels to clear the hub bolts, keep that in mind when shopping unless you plan to swap your brake setup. The wheels and tires that are on there now are 13s, I just assumed that 15s would fit. The bolt pattern isn't the problem. All stock brake setups for the 3g (Gt ot Gl) have captive rotors. So, your new wheels will need to have reliefs in the back where it meets the hub to clear those bolts. Huh, first time I heard about that. Is that something that can be purchased separately or is it wheel specific? You can either run a thin spacer or just swap out the knuckles/hubs for 92-96 expo, colt vista or summit wagon parts. Or you can clearance your stock hub, slap on 91/92 GVR4 front rotors and twin piston calipers. 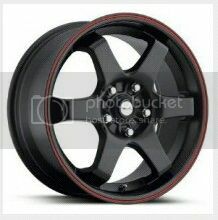 Those would fill up the 15" wheels nicely. Great job on cleaning her up so far! Thank you! I was wondering what a good brake upgrade would be. I'm guessing the GVR4 would be the best? Is it a difficult swap? The most difficult part of the GVR4 brake swap is pulling the hub so you can machine the diameter of it down enough to have the GVR4 disc slide over the top (floating rotor). You will want to use a slide hammer to pull the hub. everything else is a simple as bolting on the gvr4 disc and caliper and spacing the caliper with washers or a bushing so that the disc is centered with the caliper. It would be a good idea to change the wheel bearings while you have the hub out. Most single pattern wheels have relief cut outs. On dual pattern wheels people get away with slotting the other lug holes to fit over the bolts. Running a 8 hole spacer is another option. Sounds like i need to do some research. When I get the wheels I will asess the situation then. Thanks for the information Nocturnal! !